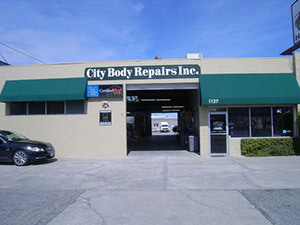 San Jose British Motors has used City Body Repairs exclusively for it’s automobile body and paint needs for over 25 years. Because we sell a very prestigious automobile, the quality of work performed is critical to us and our customers. The expertise shown by City Body Repairs over the years has not only earned them our business but has also made them the repair facility of choice for our manufacturer (Jaguar and Land Rover Cars Inc.) on all new car warranty repairs, from scratches through complete repaints. This letter of recommendation for Wes Rinella of City Body Repairs is something I normally would not do, but I feel compelled to write this because of the outstanding workmanship that has been produced by City Body. I have been associated with Wes for approximately 4 (four) years and have found him and his staff to be top notch professionals. As a Lexus approved body shop, City Body has mastered quality repairs and paint match on probably the toughest automobiles in the business. I am totally confident that City Body Repairs could repair any vehicle on the road to any owners expectations.